Island SoapBox: This is "This is Franco"
This is "This is Franco"
Hanging out at the Ocean and playing Ultimate Frisbee are two things Marcus Abramzik loves to do when he's not playing bass for This is Franco. That sounds like a pretty good time, and gives you the impression immediately that the Vancouver musician is "down to earth". Having toured across the country in a school bus (playing for kids help phone), their song "Forever" chosen as a theme song for CBC Radio Almanac, and just recently recorded with "Vertical Studios" in Vancouver, it's wonderful to see these guys are still humble. 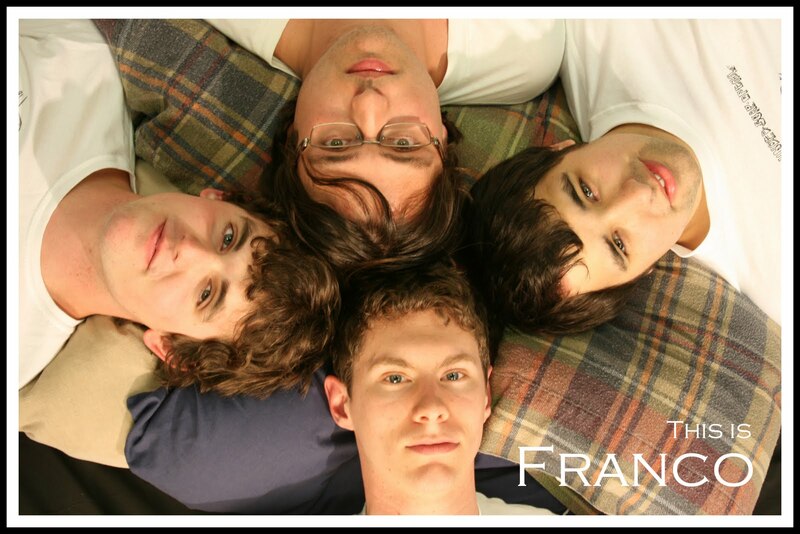 The band has embraced the online culture, frequenting their @thisisFRANCO twitter account, even hosting a fan competition to make a music video for their song "Crowded House". They work hard to get their music out there, and keep their fans involved. "It seems the trend is for musicians to have more control over added aspects of their careers, but I think it's always been a challenge for any band to get their music heard. The size of Canada definitely makes getting heard very difficult." Abramzik tells The SoapBox. With two tours planned right now (one this summer, another after the release of their new full length towards the end of the year), This is Franco is doing everything they can to make sure you hear their music. Great work ethic from a group of 22 year old musicians. The music sounds extremely polished. You would think these guys have been all over the radio for years. Marcus says the new album is a real reflection of the entire group, with much more collaboration this time around. "The new album has a lot more co-writing within the members of the band. We also had a member change as well, with the addition of Alex on guitar the songs have a more broad and full sound." "We were extremely lucky to have Kristen Cudmore of Language Arts feature on the single "Shelter" and are open to more collaborations but it's just the one for this album." www.myspace.com/thisisfranco has shelter available, I really suggest checking it out. There is also downloadable content on their website www.thisisfranco.com, just check out the electronic press kit section. This is Franco is another example of a band putting music out there for free, that leads to you just having to buy it. With a whole summer of touring lined up before the album release, I think it's safe to say the next album can't come soon enough.